How to engage, retain and grow your contact center’s greatest assets. The work of a contact center manager is never done. Contact center managers, perhaps more than others, are charged with the consistent and ongoing evaluation of their operations in an effort to expose opportunities for growth and reveal areas for improvement. By and large, any improvements to operations in the contact center are made with a singular objective in mind: to enhance the customer experience. This almost always begins and ends with customer service representatives. Few would argue about the parallel relationship between an engaged customer service agent and a satisfied customer. But among all the literature on effective employee engagement, something seems to be missing: the myriad benefits of investing in the development of long-term employees in the contact center. Training is the cornerstone of any successful, long-term employment experience. From a financial perspective, more long-term employees mean fewer dollars spent on recruiting and training. Long-term employees also help to create and sustain a positive organizational culture amid changes in workflow and staffing levels. Perhaps most convincing is the impact that long-term employees may have on customer service, bringing a confidence and competence to the role that new team members simply cannot. To that end, there are a number of things that contact center leaders can do to help guide their customer service representatives toward long-term careers with the organization. Looking at your recruitment processes through the lens of employee tenure will help managers to recruit contact center agents with the potential to contribute both in a customer service capacity and in future supervisory roles. Consider more strategically leveraging the relationship you have with your recruiting agencies. Take time to sit down with the on-the-ground recruiters who serve as your eyes and ears in the job market, outlining for them not only the hard and soft skills needed for the position, but also the nontangible qualities that make a great long-term employee. Then, evaluate the performance of the recruits they send your way, providing real-time and formal feedback to your agency partners. Share with them which candidates worked out, which didn’t and why. This way, your recruitment efforts will be in a constant state of improvement. Arguably, there is no greater resource than a positive referral from a high-performing employee whom you trust and respect. The research agrees: a 2015 survey by iCIMS suggests that employment candidates who have been referred perform at higher levels and stay at the company longer. With that in mind, consider instituting a formalized program that rewards employees for referring candidates who demonstrate commitment, on-the-job achievement and the capacity for long-term success. This will be a win-win-win for you, your employees and the referred candidates. Nobody knows what you need in a long-term employee better than you. When business allows, make every effort to play an active role in the recruitment process. Talk to your recruiters. Review resumes. Meet with candidates. This will provide perspective on the recruiting process and validate your commitment to your team, both current and future. Training is the cornerstone of any successful, long-term employment experience. A comprehensive training program may help contact center managers evaluate the long-term potential of new-hires and identify key candidates from the outset. Train for today… and for tomorrow. Contact center leaders, when faced with a rapid uptick in workflow, often are forced to train solely for the task(s) at hand. Whenever possible, they should take a broader approach, training as if each candidate were their next project manager. At the outset of training, make no secret of your intent to invest in employees who demonstrate the faculty to grow within the organization. Set goals, discuss big-picture concepts, and make sure that all trainees know the importance of their roles to the organization. Don’t skimp on retraining and crosstraining. Due to the nature of the contact center, managers often see familiar faces in training. Repeat candidates, who were let go on positive terms, are assets whose prior experience and insights should be leveraged during training. In fact, their repeat employment alone may demonstrate to other trainees that long-term potential exists. The importance of crosstraining as a way to combat turnover cannot be overstated. Crosstraining accomplishes three important objectives. It adds depth to your talent bench, allowing you to react quickly to shifting business needs. Crosstraining gives representatives options to step away from the phones and contribute elsewhere, should they have a challenging day. Finally, the act of crosstraining shows employees your willingness to invest in them, making it more likely that they will invest in you. Prioritize assessment and coaching from day one. A commitment to developing long-term employees starts during training and requires managers to assess and coach new team members from day one. Establishing and tracking relevant performance indicators throughout training will help you to identify your top performers and will give you an opportunity to coach and direct underperforming team members. Sometimes, though, this commitment may mean having to make tough decisions. If, after initial training modules, a new representative isn’t capable of performing to the standards laid out for long-term employees, and coaching has been unsuccessful, consider it a learning experience and move on. It may be difficult in the short-term, but this practice will pay dividends over time. Once the right employees have been recruited and trained, the real work begins—creating an environment that gives employees incentive to stay. Make employees part of ensuring quality. Most contact centers outsource their quality assurance (QA) programs to a third-party vendor assuming that, in return, they will get more objective assessments. Challenge that assumption by delegating the QA responsibilities to a rotating group of contact center agents. Entrusting your team with the task of monitoring and evaluating quality may help to realize three important benefits: (1) Employees will be invigorated at the opportunity to step away from the day-to-day call center duties; (2) they will return with a renewed sense of responsibility and enthusiasm for their role in customer service; and (3) employees will be exposed to an array of scenarios that will strengthen their customer service skills and help them avoid certain pitfalls. Perhaps more than anyone else, direct managers have the greatest impact on workplace satisfaction and how employees feel about building a long-term career with an organization. What’s more, they know the agents better than anyone else in the building. Challenge your field supervisors to stay abreast of internal employment opportunities that might be a good fit for high-performing contact center agents under their direction, and ask them to share those opportunities as they arise. This simple act can simultaneously build loyalty and boost performance. Solicit (and act on) employee feedback. Never underestimate the value customer service representatives bring to your company. 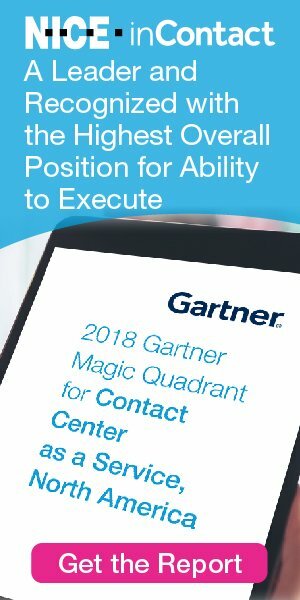 Frontline employees are uniquely positioned to offer insight into your customers’ evolving needs, changing preferences and even emerging threats. Routinely ask your team members for their feedback, and then act on that feedback where appropriate. What are they hearing? What are customers saying? What makes their day-to-day challenging? When employees contribute, when their perspectives are considered and their opinions valued, they perform to higher standards and, ultimately, stay longer. The motivation and satisfaction of your workforce—two distinct but related concepts—are paramount to developing long-term employees in the contact center. At its core, employee satisfaction is achieved when the contact center offers competitive wages, quality benefits packages and its managers set clear and realistic objectives for all team members. While foundational, these elements are critically important and help set the stage for quality, long-term employment relationships. A 2015 study by Willis Towers Watson found that more than 70% of employees considered at high-risk for leaving their organization believed that they needed to change jobs in order to grow in their careers. Dispel this mentality in your organization by giving high-performance customer service representatives increasing responsibility—a leading motivator—as they demonstrate the desire and capacity to manage it. Offer them first rights for supervisory roles. Lean on them in training. Ask for their insight into QA processes. In short, motivate them to be involved in the success of the company. There is little that managers can do to more effectively motivate their employees than to express gratitude. When expectations and work goals are exceeded, offer public praise, which will build morale among high-performers and may also motivate others toward higher achievement. Conversely, don’t discount the value of respectful, constructive feedback delivered in real time. Most employees appreciate knowing where they went wrong and how to improve, and you may be rewarded with loyalty and longevity. Tenured employees are among a contact center manager’s greatest assets when it comes to positively and decisively impacting operations and, by extension, the customer experience. It is the responsibility of contact center leadership to recruit the right people, train them thoughtfully and develop them into long-term employees. This can only be achieved by fostering an environment where their contributions are integral to the company’s success, where their hard work never goes unnoticed and where they feel excitement about the future. This environment—grounded by motivated, long-term employees—will immeasurably benefit your operations, your customers and, ultimately, your bottom line.